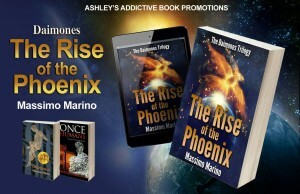 I have been waiting patiently for the release of the volume 3 of The Daimones Trilogy, The Rise of the Phoenix. Finally it is available and as I start to read it I want to share with you about the first two books in this trilogy by my friend Massimo Marino. 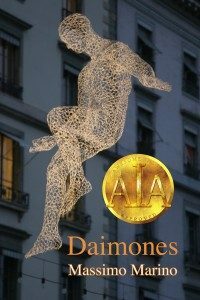 I read Daimones about a year after meeting Massimo online in a Facebook group for writers. For me it was interesting as I could relate to the scenes around Geneva, having been there several times. It was an eery feeling to think of those busy streets being suddenly empty. For that is the scene presented in detail in Daimones. The story begins with a very normal family of three living in France just outside the Swiss border at Geneva. The author draws from his own experience as well as of course his imagination. 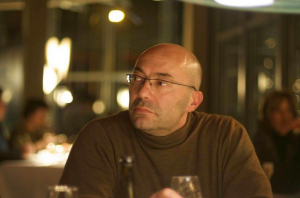 The main character in this first person series is Dan Amenta who worked in CERN, the famous scientific research center in Geneva. Massimo also use to work in CERN. He also draws from his scientific background in creating the advanced technologies introduced in all three volumes. 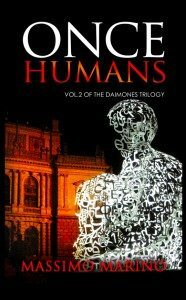 The Daimones trilogy will be enjoyed by science fiction, apocalyptic and even general fiction readers alike. The mix comes from the very mixed story between modern day humans and advanced aliens. With Dan the reader is kept very much down to earth, concerned about the mundane and the important task of the survival and independence of the Human Race. At the same time we follow Dan as he meets new technologies and learns to deal with them. The third newly released volume promises more of the same. The story continues with Dan Amenta leading the the Human Race in his representation in the Galactic Council. 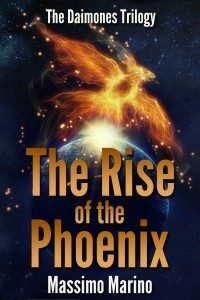 Now it rests to show will he succeed in saving Earth or Eridu as it is called or will there be more destruction as the Phoenix suggests. Only one way to find out and that is get the book and read it. Buy today and begin reading. Why not come back here and share your own insights in this book and its trilogy.